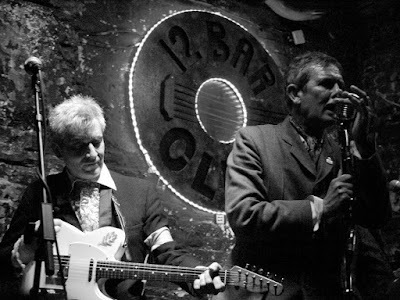 Formed in 2004, South London based quartet The Fallen Leaves have been making a unique noise, blending mod-esque poptones & vitriolic punk urgency, they're one of London's truly great and lost independent bands. "Punk Rock for Gentlemen" is their idiom and this new release lives up to the motto. Out In A Forest b/w The Inside Of A Chair, is the bands second 45rpm single, follows a large and prolific number of self-released albums and a debut single on their own Parliament Records label. Both songs on this release were co-written by the groups founding members Rob Green & Rob Symmons. 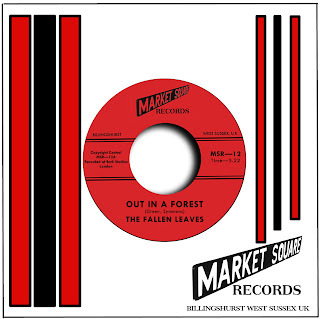 Side A 'Out In A Forest' is rooted in a four-chord, power-pop tradition with trembling guitars, weaving bass and a consistent drum beat holding it all together, whilst Rob Green's lead vocal melodically croons on top. 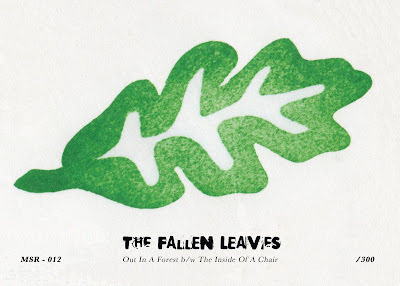 Fans of early indie music, after its initial rise from punk, would enjoy this record it has a certain early Creation or Cherry Red Records feel to it, similarities to bands like The Jasmine Minks, The June Brides & The McTells whilst at the same time showcasing The Fallen Leaves influences from melodic sixties mod-pop via The Who and The Creation. The Flip-Side 'The Inside Of A Chair' is an instrumental of magnificent proportions. Rob Symmons having been one of the original founding members of cult punk band The Subway Sect showcases with this track alone that he was of great importance to that band and its influence on countless post-punk and 80s indie groups as well as continuing to make music utilising his totally unique guitar sound and style of playing. The Inside Of A Chair, is a short but venom-filled track which moves along in a menacing manner there is a great sense of frustration in this song, the song title brings up ideas of Kitchen-Sink Drama and certainly doesn't live down that title. The 45 is limited to 300 copies only, each 45 is housed within a Market Square company sleeve and comes with a hand-numbered postcard.